In recent years the development of engineered flooring has grown and divided into 2 basic camps. High quality production and “run of the mill” production. The life of the floor will depend on the construction and type of materials used. 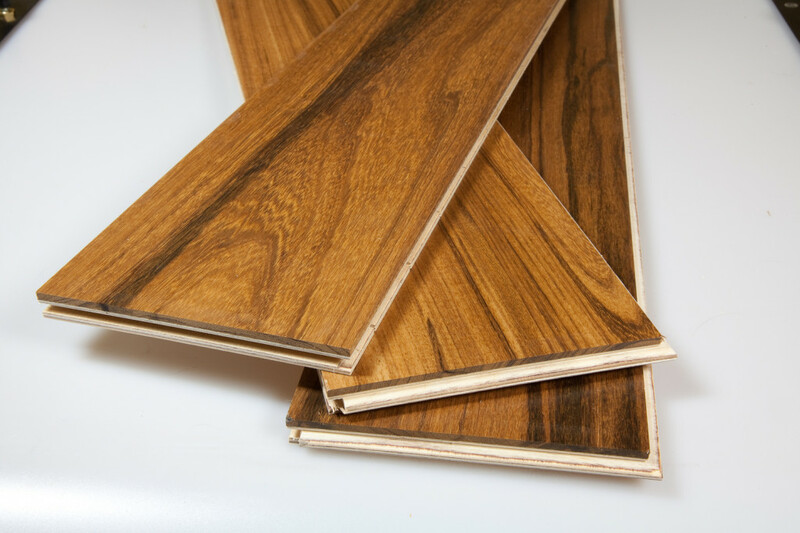 Generally a high quality floor will have a stable birch plywood core and at least a 3mm wear veneer of the flooring wood. The lesser quality floor will have only a 2mm or less wear layer and either a fiberboard or softwood (pine/spruce) core construction. With proper care a high quality floor can be refinished extending the life of the floor many years, whereas a “cheap” floor cannot be successfully sanded and refinished in most cases, thereby limiting the life of the floor. Price is usually a good indicator of the quality and for most projects the total cost of using a high quality product only increases a small amount for the big gain in longevity.